mFi-MSW is end of life (EOL) with no replacement. 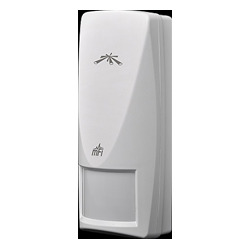 Wall Mount Motion Sensor (mFi-MSW) is a dual-technology motion sensor, using both passive infrared and microwave motion sensors to minimize the likelihood of false detections.It is wall-mountable and designed for security, occupancy detection, resource scheduling and other smart building applications. For use with mFi mPort hardware and mFi Controller software (included with the mFi mPort).